Do you have recurring back pain that just won’t go away? Then you might have facet joint arthritis. When you have back pain, it can be hard to know the cause of it however facet joint arthritis is a common cause of recurring pain in the neck and lower back. Facet joint arthritis and other problems can have serious effects and be disabling if left untreated. In this guide, we’ll walk you through everything you need to know about facet joint arthritis and related issues. Keep reading to find out if this is the cause of your pain, and what you can do about it. When trying to diagnose facet joint problems, it’s important to rule out other issues that can look just like them. If your cervical or lumbar facet joint inflammation is severe, it can actually seem a lot like another issue. Problems with facet joints can be misdiagnosed as deep infections, herniated discs, fractures, and torn spinal muscles. It can be more frightening to get a misdiagnosis or to not know what’s going on. It’s important to get a correct diagnosis so you can get the appropriate type of treatment. It’s also worthwhile to note that abdomen issues can look like lumbar facet joint issues, and neck problems can seem like cervical facet joint issues. When you have issues with your facet joints, you’ll usually experience intense pain at unpredictable intervals. You might have flare-ups a few times a month, or a few times a year, for example. You’ll usually have an ongoing tenderness on the spot right over your facet joint inflammation. You’ll probably also lose a bit of flexibility in your spinal muscles – this is known as guarding. Your muscles will involuntarily flex to protect the painful area. Often patients suffering from this condition will feel very stiff and achy in the lower back first thing in the morning. As the patient “gets going”, they are able to alleviate some of the pain. However, at some point, the days activity will catch up to the patient resulting in evening/night time symptoms that mirror the morning stiffness. Most of the time, you’ll feel more pain when you lean back than when you lean forwards if it’s a facet joint problem. Your lower back pain will often radiate down the back of your buttocks and upper legs. It’s rare to feel pain in the front of the legs. You also probably won’t feel pain as low as your knee or foot – if you do, it’s likely a herniated disc. If you have an issue with the cervical facet joints instead of the lumbar, you might feel pain radiating into your shoulders or your upper back. It probably won’t reach down your arm, chest, or into your fingers. The pain you feel can happen frequently, but it’ll usually be unpredictable in terms of when it happens and how long it lasts. This can lead you to feel like you’re imagining the pain and there’s no real medical issue. If you have lumbar facet joint arthritis, you’ll be able to stand, but will feel more intense pain when you sit down or get in a car. At its worst, the pain will start to fatigue your muscles, giving you continual muscle spasms that can seem to have no end. If you have episodes of facet joint pain happening every month or more, you should get an x-ray to determine the cause. Most of the time, these x-rays allow the physician to see the painful changes to the facet joint. However, sometimes, you might also need to get more advanced imaging such as an MRI or CT scan, which will show more information about the facet joints and other parts of the spine. To stop the recurring facet joint pain, there are a number of options for treatment. These treatments often give temporary, short-term relief, but a number of them also give long-term pain relief. First, let’s take a look at the ways pain caused by facet joint arthritis and related issues can be treated with no surgery. Exercise is one treatment option that’s been proven to help in the long term. Those exercises should be done with a physical therapist or another healthcare provider to oversee treatment. Good posture can also go a long way toward combating pain. The lower back pain will be reduced when the low back is supported. For episodes of pain, heat and cold can both be used. Heat wraps and hot showers might help manage the pain, as can applying a cold pack. If you have facet joint arthritis, it’s a good idea to change up your schedule to make it more manageable. Try to get rid of any long commutes, and make time to rest throughout the day. Additional non surgical options include, therapeutic injections as well as radiofrequency ablations. These needle based therapies are performed in just minutes and can result in relief lasting up to 1 year. 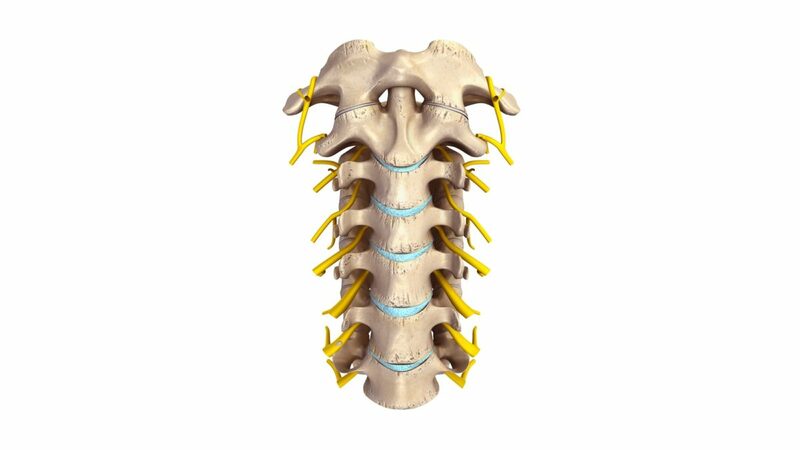 If your pain is especially severe and just won’t go away, the adjoining disc is probably degenerating. You might need a bone fusion surgery if that’s the case. This surgery is usually reserved for when everything else has failed. However, most patients find that non-surgical lifestyle changes do enough to keep their symptoms at bay. Do You Need Facet Joint Arthritis Treatment? If you’re experiencing recurring back pain, don’t wait to get a diagnosis. Your pain can soon become debilitating if you don’t treat it. However, a medical professional can help you get the right diagnosis so you can start treatment right away. Don’t delay any longer – request an appointment with us today.